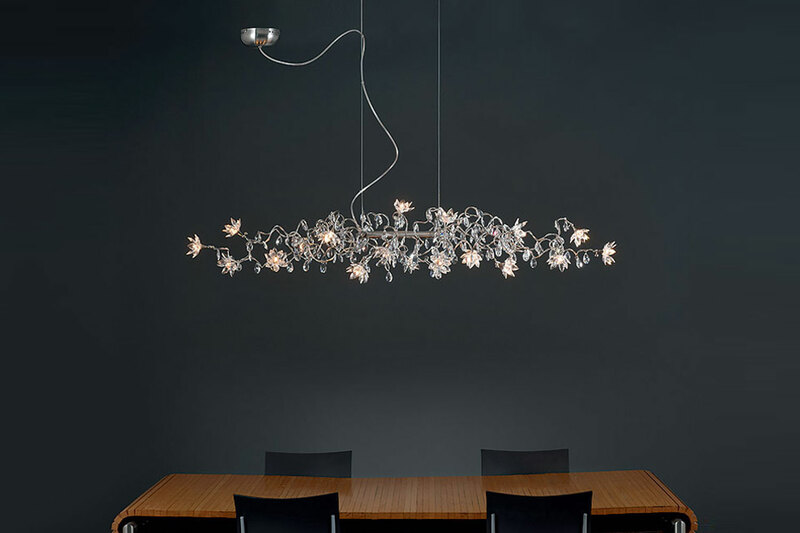 Range of multiple chandeliers with hand woven stainless steel 2 x 3 mm tubes, 12V G4. 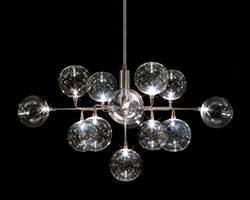 Every arm is decorated with transparent Diamond crystal balls (30% PbO) and can be twisted and stretched in every direction. 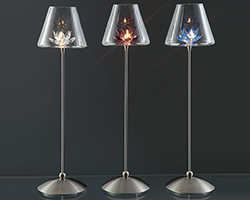 The crystal glass flowers are fixed through a G4 click system and available in several colors. 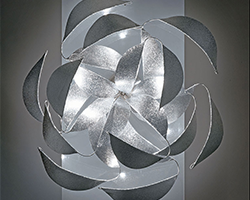 All lighting fixtures with built-in transformer.